Jacek Bozek is building a citizen’s movement to preserve Poland’s rivers and to stop ecologically irresponsible development projects. His project thus far has focused mainly on Poland’s largest river, the Vistula, which is one of Europe’s last great “untamed” rivers. 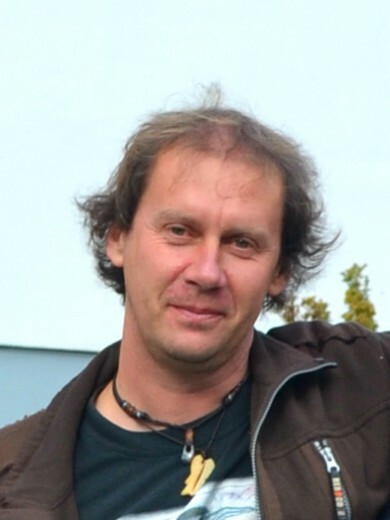 However, Jacek is expanding his work to other rivers in Poland and is working to export his model to the remaining natural river eco-systems throughout the continent. Nowadays civilization is having a definitely negative impact on nature as the destruction of their natural environment caused the extinction of several species in the Czech Republic over the past years. Regardless of this, little attention is paid to such issues in the public arena. The problem is getting worse because of factors such as a dysfunctional and hostile system, corruption, bureaucracy, a degenerating grant system and, last but not the least, the lack of judgment on the part of politicians. The Protection of Fauna ČR has evolved over the past fifteen years from one abandoned garden to four different locations across the Czech Republic, including the station for injured animals, an educational center for ecology studies in Votice and an Eco farm which extends over 300 ha. 800 animal rescue missions are carried out every year. Yearly 33 000 people participate in educational events while professional seminars for local and national officials are held regularly. During the Czech energy sector privatization, Pavel managed to attract public awareness to birds’ suffering on the electricity pylons through a national campaign entitled “Lights for Prague” (250000 people visited the exhibition in the Narodni Muzeum). Pavel also gained the support of the cities’ mayors and greatly influenced legislation resulting in the replacement of the electricity pylons with pylons that are safer for birds. Pavel created a program which aims at increasing awareness about endangered species, the importance of the environment and protection of biodiversity. He founded a rescue and rehabilitation station for injured animals which could be returned to the wild later on. Pavel also draws attention to these issues through the education and involvement of local communities in the organization’s activities. He works closely with the government on the introduction of suitable technologies which would contribute to animal protection. The organization’s vision is not only to safeguard and protect wild life in the Czech Republic, but also to further the ecological education of the public so that the broadest possible spectrum of people of all ages can obtain the knowledge and skills necessary for environmental protection and actively participate to the best of their abilities. The organization wants to see not only responsible and informed behavior towards the environment on the part of individuals but also full cooperation from governments and businesses. E.T.Seton and Jaroslav Foglar greatly influenced Pavel during his early years. He learned that being honest is not a handicap but rather an advantage. There are many others who have left their imprint on his life, who have guided him and given him the hope that what he does has a purpose.